New Uniti is unique, with bit-perfect ripping and music serving technologies, a completely new and state-of-the-art streaming platform delivering a unique superior feature set, over- the-air updates, beautiful industrial design and true Naim high-fidelity sound. Google Cast for Audio – play music directly from a mobile or laptop, directly from enabled apps. Stream music from iPhone, iPad or iPod Touch or from iTunes. Stream stored music from a PC, Mac or network attached storage in high-resolution up to 32bit 384kHz or DSD128. Access to thousands of global internet radio stations and save to favourite presets for easy access. Create bit perfect copies of your CDs and store the rips on a user installed hard drive or NAS drive. Plug in an external USB CD/DVD Drive and create bit perfect copies of CDs. Store up to 20 thousand tracks either on an USB stick/ USB hard disc (Atom) or USB Stick, SD Card or USB Hard Drive (Uniti Nova). Have access to your music from any connected Uniti player without the need for a separate music server. Create bit perfect copies of your CDs. Store up to 20 thousand tracks either on an USB Stick, SD Card or USB Hard Drive. Have access to your music from any connected Uniti player without the need for a separate music server. Play, store music to a hard drive or USB stick. Play, store and serve music simply and conveniently via the SD card slot. Play audio from external digital sources, such as computer games. TOSlink is ideal for connection to devices with noisy power supplies. Play music from other digital and analogue sources including MP3 players. For connection to an external power-amplifier. Front panel 3.5mm headphone jack with new upgraded headphone amplifier with significantly improved performance. Control provides an always ready method to adjust the volume, change tracks, navigate to favourites or adjust the lighting. Custom-designed Naim app to control Uniti of both generations products together with Mu-So and Naim’s network players. Available for iOS and Android devices. LCD Display. Access favourites at the touch of a button including iRadio presets. Standby button for ease of use. Move close to Uniti and it will wake up from standby. Alongside the state for the art technology platform that propels the New Naim Uniti range into the future, new production and manufacturing processes are required to hold quality with increased demand. Using the very latest state of the art CAD software and touch screen display technology, each individual manufacturing unit is equipped to ensure that every vital detail of the product is built with extreme accuracy and repeatability. Each cell will see the product enter as a series of components and leave as a fully closed and tested product ready for shipping. Initial reaction from retailers and distributors has been extremely positive with current forecasts now more than double initial prediction. This has meant planning a staggered launch across the range to meet demand. The new build cells will initially focus on Uniti Atom (shipping Q3 2017) and Uniti Core (currently shipping), ramping up output in 2017. By Q4 2017 will see the start of Uniti Star and Uniti Nova production. Planning way in advance ensures that customers globally can receive first orders on product this year. 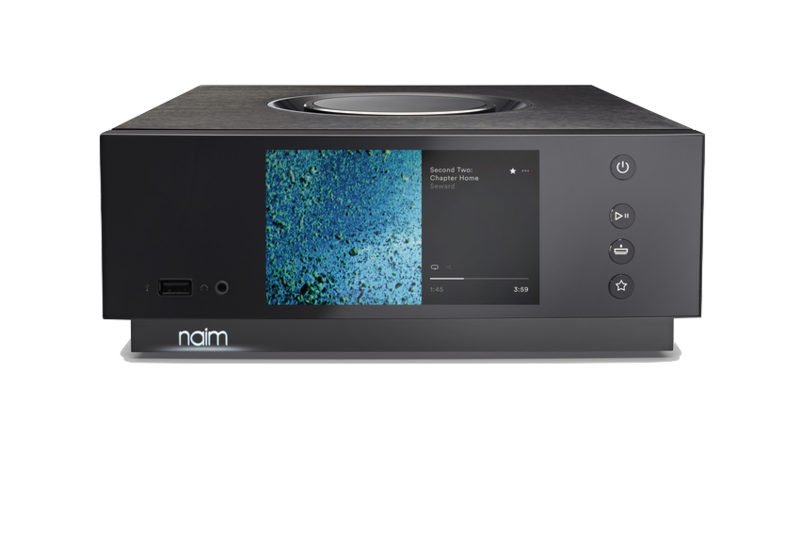 Naim HDX music server, but Uniti delivered performance, with the sales volume to gain the critical mass that changed the shape of the market. Uniti of course was also very significant for Naim allowing a reach into customers and distribution channels who would never have considered Naim in the past as it was considered highly desirable but aspirational due to the brands higher-end products and limited distribution. 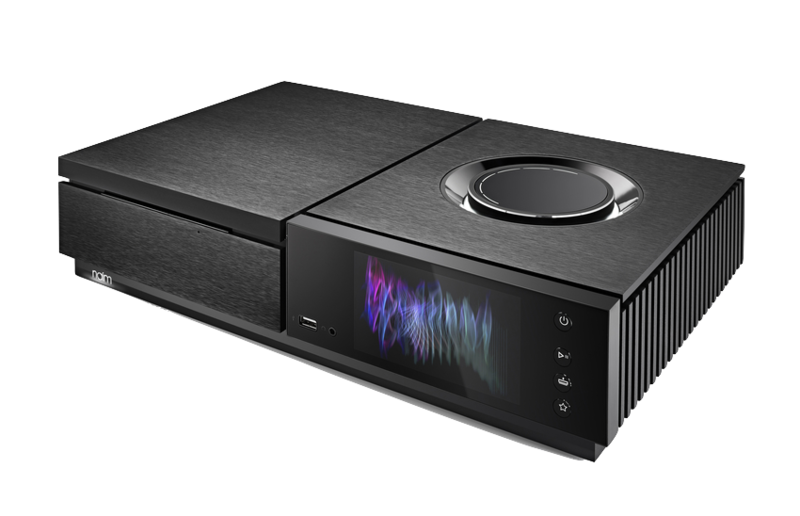 Naim’s new exclusive streaming board is a co-design introducing Naim’s design philosophies into an existing design to shorten the development time for this eight-layer board and to ensure approvals of the various key features. Going it alone was considered but with licensing and approval times and complications increasing it was decided to partner and to include customer demanded features rather than develop from scratch and potentially miss key user features which can vary considerably market to market. As an example Naim’s research indicate more customers even of its NDS high-end streamer are choosing to use Tidal and Spotify. Partnering allowed Naim to add its expertise in audio board layout and also to move the digital connectivity to I2S over LVDS. Deciphering the alphabet soup; it means that the digital signal is sent over I2S which has the benefit of a separate clock signal, in contrast to S/PDIF which doesn’t, resulting in lower jitter. Low Voltage Differential Signalling allows digitals comms with high accuracy but with a very low radiated field. Given the mixed analogue/digital nature of network players keeping radiated fields as low as possible is an essential. New Uniti all-in-one players have significantly superior Wi-Fi capability (802.11b/g/n/ac) compared to the original platform; it is five times faster and much more stable. The Wi-Fi processor supports 2.4 and 5 GHz speeds and will be the best in the market. Alongside this, all have a much larger internal buffer and memory – they will buffer around one track’s data, which results in far fewer dropouts compared to the old platform, that could only store up to a minute’s worth at CD data rates. The Uniti systems have a patented hidden and integrated Wi-Fi aerial behind a slot machined in the heatsink between the fins. New Uniti delivers bit-perfect CD ripping to create accessible files that can be served to any UPnP streaming system on the network. The system uses the designed in EAC (Exact Audio Copy) software to extract the files which can be stored as WAV or FLAC lossless files. The CD playback component on Uniti Star has been custom integrated and takes advantage of the faster-than-playback read rates, so more is buffered into RAM allowing excellent audio extraction (as accurate as possible to achieve great sound) from the CD. Uniti’s internal databases allow easy transfer of your music library to your preferred storage devices. Uniti Star has a built in CD drive that allows immediate bit-perfect CD ripping and with Uniti Atom and Uniti Nova there is the option to plug in a USB CD-ROM drive and rip to an HDD in the other USB socket. 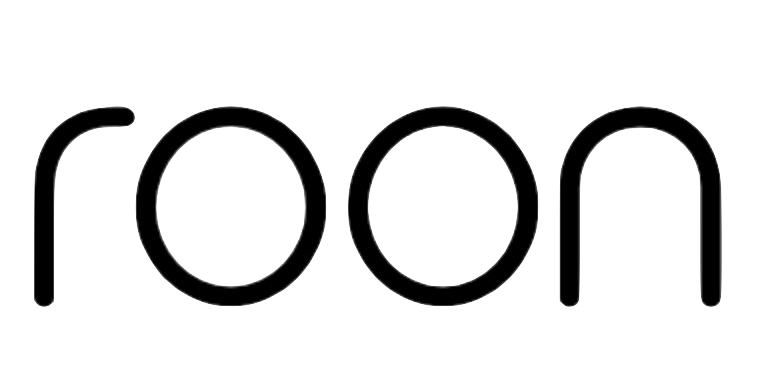 The database has a limit of 20,000 tracks for Uniti Atom, Uniti Star and Uniti Nova. Uniti Core has a significantly larger database capacity and can rip to NAS and store 100,000 tracks assuming the HDD has the capacity. Naim will issue a list of suggested external drives soon. Uniti uses Class AB amplification, with technology derived from our iconic NAIT integrated amplifiers. A/B is costly to implement and has many technical parameters to overcome especially in highly packed cases (but still easier than digital amps), but in spite of these challenges Naim select class A/B for one reason only, musical performance. Filter sections in Uniti Nova are made using the finest quality through hole film capacitors with Uniti Atom and Uniti Star using a combination of through hole and SMD. The power amplifier sections have been updated, feature substantial transformers and run from linear power supplies. The power supply for the power amplifier sections was also further increased to the biggest size that would fit. All Uniti power supplies when running are linear. When in standby a relay switches over to a small SMPS to bring power consumption to within regulations. On power up this SMPS is completely out of circuit electronically and mechanically. The new Atom, Star and Nova now feature an incredibly powerful new 4th Generation 40- bit SHARC DSP processor, the ADSP 21489 capable of 2700 MFLOPS running at 450Mhz. 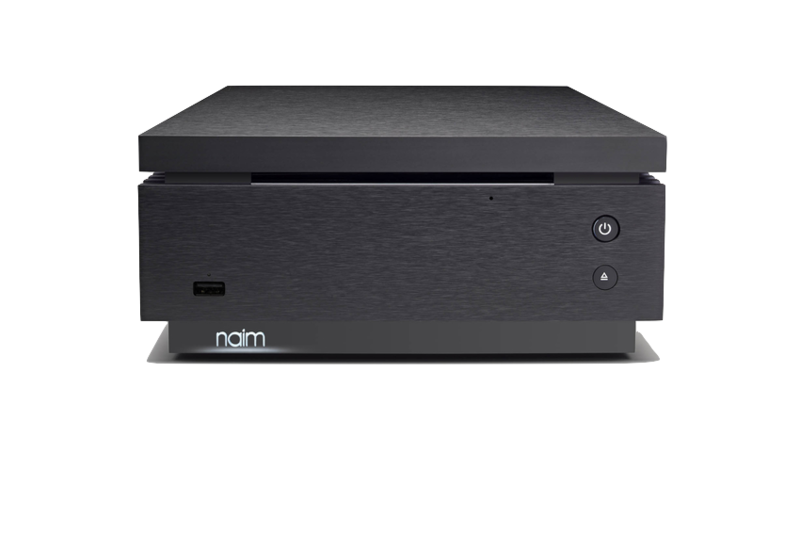 The SHARC processor implements Naim’s RAM buffer (first used in the DAC and NDS and called zero S/PDIF) then 16 times oversampling and digital filtering. The oversampling and digital filtering software in the DSP is Naim written. 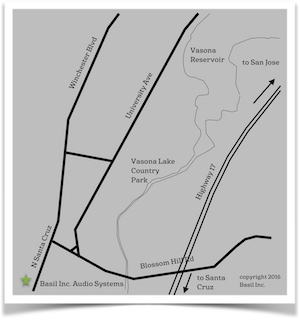 This allows the digital filter section in the Burr Brown DACS to be bypassed delivering significant sound quality improvements. All three new Uniti player products use premium Burr Brown DACs and analogue filter sections and output stages constructed from similar high-end components to those in their respective preamplifier sections. Using an extremely powerful SHARC also allows for future updates both in performance, formats and features. The heart of any good preamplifier is the volume control. All new Uniti systems feature a digitally controlled analogue volume control. It provides an interface directly with the buttery smooth and beautifully illuminated top surface volume control, first conceived for Statement. The illuminated volume segments are reflected in the same fashion on the remote control and will adjust accordingly on the top surface ring if the volume is changed remotely. HDMI is the 21st Century’s SCART lead, it carries video, audio and control signals but where SCART was analogue, HDMI uses digital technology. HDMI ARC carries the digital audio signal. Plug an HDMI cable from the TV’s HDMI ARC connector to the Uniti and whichever input on the TV is selected the TV sound will be sent digitally to the Uniti and Uniti will decode (PCM Stereo only) and play it. The HDMI cable will also send TV remote control volume commands: the TV remote will control the Uniti’s volume control making the process easy for the whole family to use. It can also control the inputs of Uniti, for example: turn on the TV and Uniti will turn on and select the HDMI ARC input automatically. Then turn the TV off and Uniti will turn off. The HDMI inputs on Uniti Atom, Uniti Star and Uniti Nova are galvanically isolated to ensure that noise from the TV power supply or indeed any other devices connected to the TV do not affect the Uniti’s performance when playing any source. New Uniti all-in-one players can be controlled via the supplied remote control, or via the Naim Control app for iPad, iPhone, iPod and Android. The Control app puts a world of music at your fingertips. If you have other Naim streaming products on the same network, you can select rooms and enable party mode directly from the app. 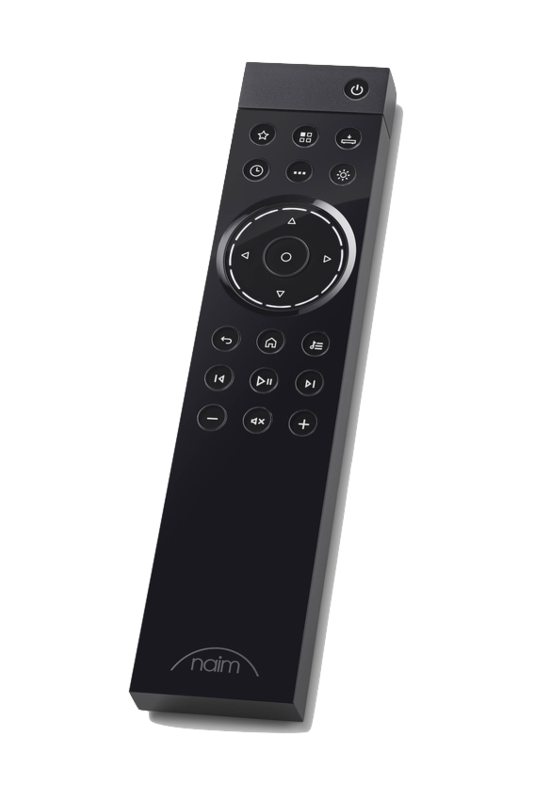 All aspects of Uniti’s design were considered holistically, including the design of a new bi- directional remote control. Very early on R&D realised that passive IR remote technology was not going to deliver the targeted intimacy. So, a ground up solution, both from a technological and a user point of view was sought and found with the bi-directional remote control. Beautiful white backlit buttons, a round volume display with segments that light up in harmony with the volume knob on the player and easy pairing to any Uniti player, the remote is an intrinsic part of new Uniti. Naim’s four engineering fundamentals of circuitry, space, purposeful materiality and technology played a huge part: each component of the Uniti system case has been rolled or extruded and then machined with computer controlled, liquid cooled numerically controlled cutting equipment (CNC) for absolute dimensional precision. The substantial side heat sinks present in all Uniti products are directly coupled to the individual product floor pans to provide excellent thermal contact and heat transfer. This ensures that heat is removed from the circuitry quickly and efficiently, especially when the amplifier is operating under heavy loads. Thermal stability ensures consistent performance and long component life, two key parameters to Naim design. The 15mm top plate covers present on all products are CNC fabricated, brushed and cosmetically anodised to offer a beautiful muscular appearance as well as tough scratch and dent resistant cladding suitable for the many years ahead. An amalgamation of beautiful design and delicate engineering, the precision CNC machined volume knob sub assembly delivers absolute volume control and is a joy to use. The thick aluminium wall sections absorb unwanted vibrations and help protect the core internal electronics from detrimental magnetic influences. Even the mounting of the printed circuit boards to the chassis is controlled to limit the effects of microphony upon the components. Over the last forty years Naim has been honing a minimalist purity in the design language of its electronics. Recently they have explored the limits of this language in the statement amplifier which truly represents the pinnacle of Naim design and engineering. So the intention has always been to draw on the precision and purity of their wonderful black boxes and to never lose sight of their function and purpose whilst at the same time looking to stretch the visual identity so that they discover and express purity of form, as well as performance in the product language. terms of construction, finish, user interface, features and operation which all combine to deliver total immersion in the music. Bringing all Naim’s exacting design elements together into a compact and beautifully engineered enclosure with Uniti has been a real labour of love. It offers a complete expression of Naim engineering and artistry and will provide the foundation for musical pleasure for many years to come.” comments Simon Mathews Group Design Director. All functional elements are as embedded into the core design DNA of Uniti as much as possible. The CD slot feature is presented as a bold split line, the display is presented as a whole cheek, the heatsinks are captured within the overall footprint and the logo bar embedded into the base. The combination is a visually clean, beautifully finished enclosure built to the highest levels of precision. The end result is the perfect amalgamation of where Naim as a company have come from and where Naim are going. 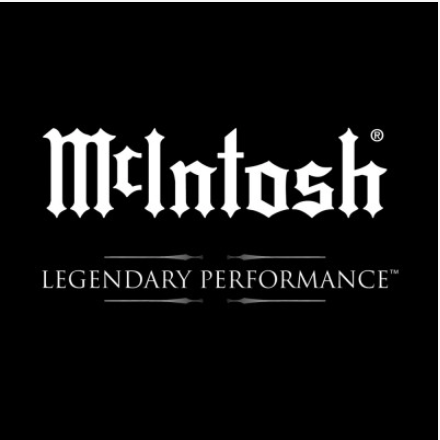 Hand build products designed and manufactured in Salisbury to provide many years of musical satisfaction whilst being completely in tune with the demands of the modern music lover. New Uniti system except Core uses antennae to connect to various sources. From a design point of view, Naim engineers weren’t interested in using industry standard ‘bunny ear’ aerials – they are too cumbersome and would ruin the overall design aesthetic. So instead they have engineered a system of housing flat aerials into a specially machined slot in the heatsinks at the side of the machine. What seems like a simple process is actually tremendously complicated as the mechanical dimensions of the slot have to work together to fine tune the Wi-Fi frequencies. There is also an additional Bluetooth antenna underneath the central dial. 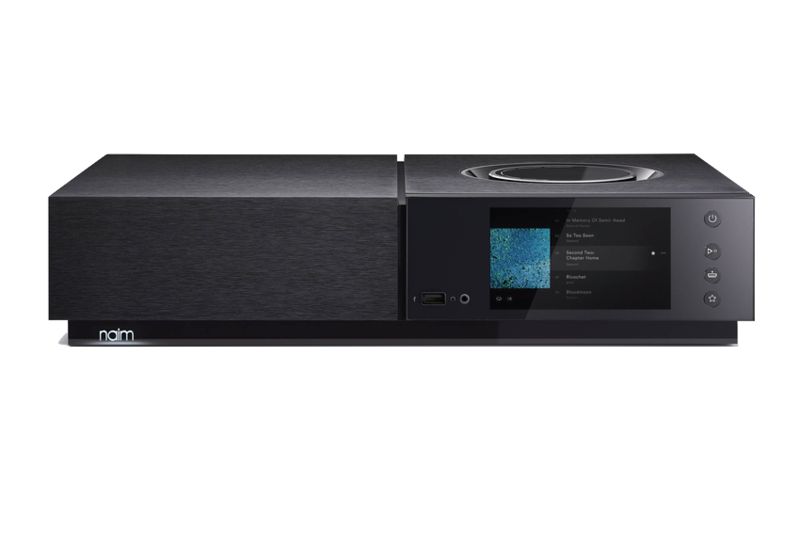 The end result of both of these features is a seamless aesthetic that doesn’t lose any of the connectivity that Naim strove for at the beginning of the process. 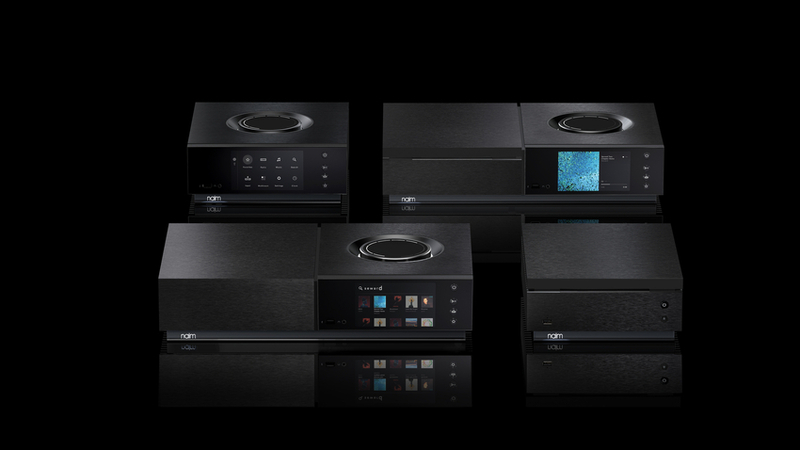 With this range Naim wanted to deliver total connection to the user’s music collection. A very high grade full colour display provides rich imagery of album artwork and content. The screens have proximity sensors and thus will wake up as someone approaches the machine to display music data, audio input information and more. Note also the selection of front panel convenience buttons, including Favourites, Stop and Play.